with this disorder live a normal healthy life." 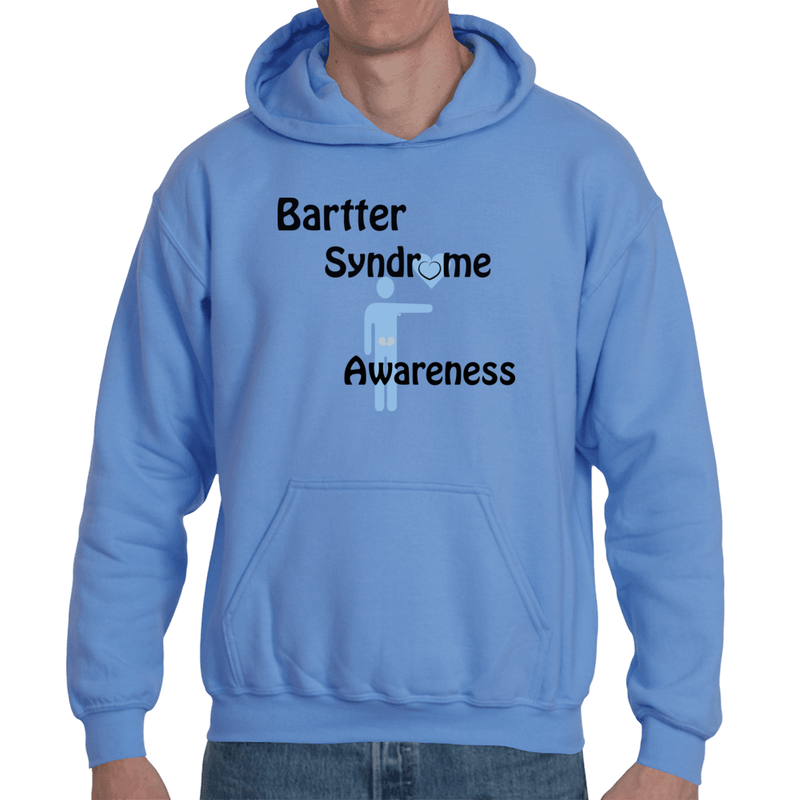 Bartter syndrome is a rare inherited disease caused by a tubular defect in the kidney’s ability to reabsorb potassium. This makes the kidneys remove too much potassium from the body. 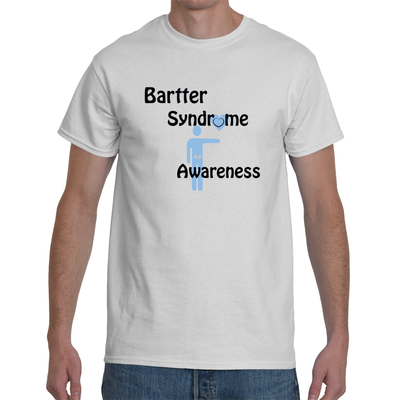 Bartter syndrome is not a single disorder but rather a set of closely related disorders. It is a renal tubular salt-wasting disorder in which kidneys cannot reabsorb chloride. Failure to reabsorb chloride results in failure to reabsorb sodium and leads to excessive sodium and chloride ( salt ) delivery to the distal tubules, leading to excessive salt and water loss from the body. Bartter syndrome is an autosomal recessive disorder with a characteristic set of metabolic abnormalities (Hypokalemia, metabolic alkalosis, hyperplasia, juxtaglomerular apparatus and Hyperaldosteronism in some patients). Familial and sporadic forms of Bartter and Gitelman syndromes exist. There are five types of them. The table below illustrates the type and defective gene responsible for the disorder. Two major forms of Bartter syndrome are distinguished by their age of onset and severity. One form begins before birth (antenatal) and is often life-threatening. The other form is the classical form; which begins in early childhood and tends to be less severe. Researchers split the disorder into different types based on the genes involved. Types I, II, and IV have the features of antenatal Bartter syndrome. Type IV is associated with hearing loss, it is called antenatal Bartter syndrome with sensorineural deafness. Type III usually has the features of classical Bartter syndrome. "Our son Ethan is the driving force behind our foundation"
My husband and I were so excited to know that our baby boy was on the way. My pregnancy was complicated and termed high-risk due to excessive water around the fetus called polyhydramnios. The excessive amniotic fluid had to be drained weekly through amniocentisis to prevent premature delivery. Due to the polyhydramnios, Ethan Daniel was born early at 36 weeks, 6.2 pounds. He was such a beautiful baby boy. At about 3 weeks old, we noticed that he spit up more than normal, was jaundice and his condition progressed into repeated vomiting. Ethan did not gain weight well; he wet his diapers excessively and displayed a constant desire for thirst. Initially, doctors told us he was probably lactose intolerant, so we should switch the formula. Ethan was small and tiny compared to other children in both weight and stature. The pediatrician told us that Ethan was tiny because he was on soy milk formula and his vomiting was due to a condition called cyclic vomiting. We believed different; a Mother’s Intuition knew something was wrong with our baby boy. During the first few years, Ethan got up every 2-3 hours, soaking wet from full diapers. At his first birthday, Ethan looked lethargic and endured an episode of vomiting that lasted for a period of 3 days. We took Ethan to see numerous doctors; no one seemed to know what was wrong with our child. The doctor’s consensus was that Ethan will be tiny and small like his mother, with no underlining problems. We continued to fight for his life for the next four years, from ER to ER, from doctor to doctor with no solution to his medical ailment. No results, nothing changed, his symptoms were getting worse. Ethan was not eating well, his thirst increased immensely. Ethan was still vomiting, he was urinating very often, he got up 2-3 times per night to drink water and use the bathroom. He was craving salty food and only ate the salt from pretzels. Ethan was very skinny and short. He was not growing well at all compared to other children his age on the percentile rankings. At age 4, Ethan was wearing size 24 month old clothing. Ethan got very sick again. He ran an extremely high fever and appeared lifeless. We rushed Ethan to the hospital; once again the doctors put him on an IV. Unfortunately, this time he got sick with pneumonia and doctors could not get the fever to come down for days. I began to cry and scream. Watching my son's pale tiny body suffering was painful and I begged the doctors to listen to me. The medicine he was on was not working. I reiterated the symptoms that my son exhibited time and time again. We suffered through Ethan's first years without any support or information into his disorder. 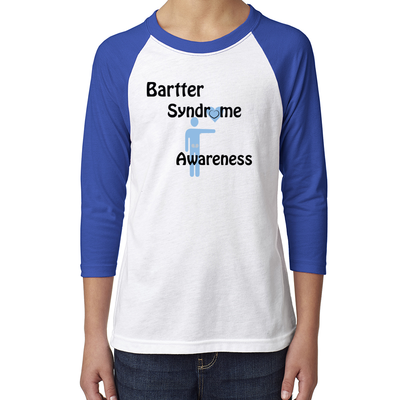 Therefore, we decided to help others by starting the Bartter Syndrome Foundation to offers others a support channel and give insight into this rare genetic kidney disorder. to address, educate, coordinate, and promote research of Bartter Syndrome. Ethan Hoffman has Neonatal barter syndrome. He competing at golf, playing with his dogs and traveling with his family. There are a number of physical traits that differ in barter patients both before and after treatment. He has barter syndrome Chris lives in Ohio and enjoys playing the guitar. Cleveland, OH, Friday, February 8th, 2013 – Ethan has his regular check-up at the Cleveland Clinic with the Pediatric Nephrologist; which is over an hour from our home. He has broken the lowest percentile plateau for weight at his age for the first time. We are elated, Ethan is a couple months away from 10 years old and weighs 55 lbs, but often with good news comes bad. He is also extremely low on Iron and anemic. We begin to double his daily intake of Iron to combat the deficiency. What role does bartter syndrome play in Iron deficiency? Do other bartter carriers experience this as well?